Hock Hoe Hin Pte. Ltd, which is headquartered at Singapore, is one of the top importers of fresh sliced fruits in the city. 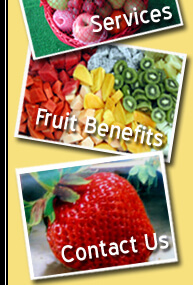 They are also the global suppliers of superior quality tropical and exotic fruits. In addition to distribution of fruits to corporate clients, the company is also aiming towards promoting the health of their employees by offering assorted packaged fruits. They offer these products at a price of one dollar onwards. Bananas supplier Singapore wholesale has in store ample quantities of tropical and exotic fresh cut produce that is distributed amongst esteemed organizations while conducting seminars, events and similar auspicious functions. Furthermore, diverse ranges of fruit hampers are supplied for various types of occasions. 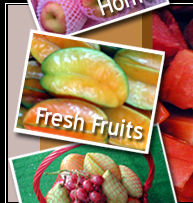 The company does take part in bazaar in which they provide fresh sliced fruits to their staff at wholesale price. Bananas supplier Singapore wholesale provide varieties of luxurious and exotic sliced tropical fruit hampers. The packaged products are accompanied by multitude of colorful flower and similar fruit basket gift hampers. The assorted fruits hampers is suited to be presented as gift to your friends or family members on numerous auspicious occasions. It is done to express your love and concern for your friends. Bananas supplier Singapore wholesale is heavily focusing on enhancing the health and boosting morale of their staffs by supplying bananas. This type of fruits is very tasty and delicious due to the presence of nutrients. It is very helpful for smooth functioning of our bowel movements, digestion process, improved heart rate and losing a considerable amount of weight as well. In addition to being a nutritious diet, it is regarded as a safe snack food owing to the following reasons. Bananas are considered one of the most popular fruits in our planet. Albeit, indigenous to parts of South East Asia, it is currently grown in majority of warmer regions of the world. Today, there are myriad of bananas, which arrive in different colors, shapes and sizes. Out of which yellow banana is the demanding one. It often appears in green color during its initial stages of growth. A decent quantity of fiber content along with anti-oxidants is found in yellow banana. A medium-sized banana contains 9% of potassium, 11% of vitamin C, 3.1 grams of fiber, and 1.3 grams of protein. The total amount of calories present in a banana is about one hundred and five. Majority of it is dominated by water and carbs. The protein content and fat is extremely low when compared to other fruits. The carbs contained in an unripe banana comprises of starch content. However, when the banana gradually begins to ripe, the starch is automatically converted into sugar. Hock Hoe Hin Pte. Ltd is currently one of the preferred companies by local residents of Singapore city due to their impeccable customer services and high quality fruits.